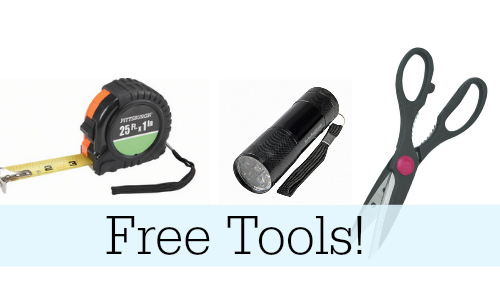 Home > Free > Reminder: Free Harbor Frieght Tools! Reminder: Free Harbor Frieght Tools! Don’t forget, you can still get some great FREEBIES at Harbor Freight! This is always a really popular deal and a great way to grab some free household items. There is a limit of 1 FREE coupon per customer per day, but there is no minimum purchase. The items would be perfect to include in a gift basket! The coupons expire 4/30. You can print the coupons here. The deals are available in-store only.